Shocking! This Actress Calls Salman Khan CHEAP! Home BOLLYWOOD Shocking! This Actress Calls Salman Khan CHEAP! Salman Khan, rightly known to be the highest paid actor, King of box office records, superstar of all times and what not! In fact, he has always shed his helping hand to many newcomers be it Katrina Kaif or Sonakshi Sinha. Every star praises him for his work. But wait! This doesn’t seem to be the same case with another newcomer recently. So who is it? 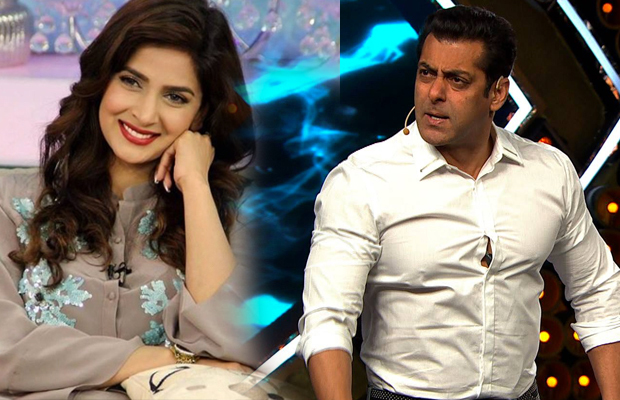 A Pakistani beauty Saba Qamar is seen in a video bashing Salman Khan. Even though she is saying it for fun sake but the comments seem to be quite offending to the star and his stardom. She has given him certain tags and has also refused to work with him anytime. Saba Qamar appeared on a Pakistani talk show that also enjoys a huge fan following on that side. When she was asked to rate the Bollywood stars and shown a picture of Salman Khan, straight away called him a ‘Chhichora’, meaning Cheap in English. She even commented on his dance style, that one style Indians are very fond of and love doing at their highest level of comfort zone. She said that he has no style. After the ban on Pakistani artists, Mahira Khan’s performance was still appreciated and she seemed to very respectful towards the industry. But that is not the case with Saba Qamar who is debuting with Irrfan Khan’s Hindi medium. Well! Let’s see what Salman Khan has to say about the comments being passed on him about his style and personality. Next articleIs Number 18 Lucky Number For Sajid Nadiadwala?